An authoritative and seminal review into the private rented sector, as well as research into the extent to which the private rented sector meets the housing needs of tenants who are vulnerable to harm. To enable service providers and policymakers to make effective and informed decisions about ways to deliver decent, affordable housing in the private rented sector, based on comprehensive and up-to-date information of who is living in the sector. More robust evidence of the solutions to address the issues of cost, quality, security and access in the private rented sector is available and used to inform policy and practice. 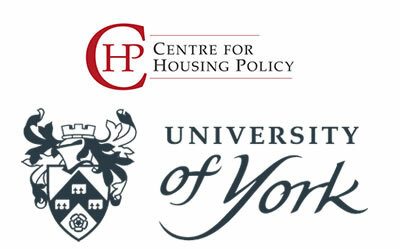 The Centre for Housing Policy at the University of York carried out an independent, comprehensive and seminal review of the private rented sector in England, The Evolving Private Rented Sector: its Contribution and Potential. The sector has been growing in size and influence over the last 10 years and the University of York’s review provides evidence and analysis of these changes, as well as recommendations for developing a strategic framework for the whole of the private rented sector to be better managed. 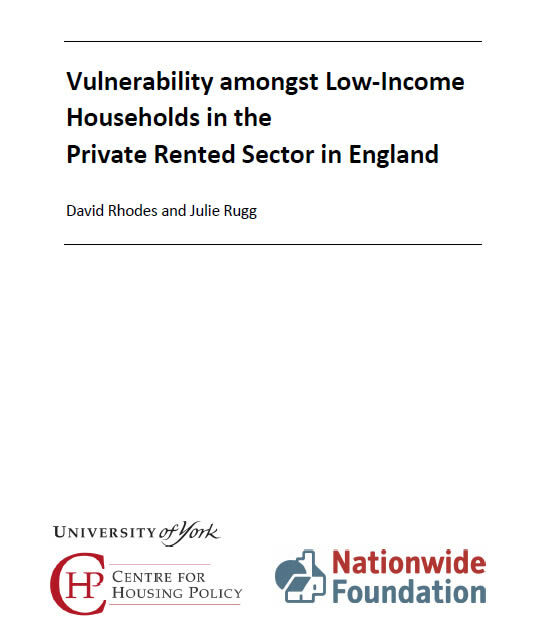 In addition to the review, a separate piece of research, Vulnerability Amongst Low-Income Households in the Private Rented Sector in England was carried out by the same academic team. This report aims to understand the incidence of vulnerability in the private rented sector and focuses on households in the bottom one third of incomes whose circumstances make them particularly vulnerable. These households include either dependent children, a migrant or someone who is living with a disability, in receipt of benefits, aged over 65 or on an unreliable low income. The harms considered by this report were: property standards, overcrowding and poverty. 86% (rising to 97% in London) of the vulnerable private rented sector households had at least one of the three problems, which equates to 33% of the sector as a whole. The biggest problem faced was poverty. The report also found that the proportion of households in the private rented sector with dependent children has grown and this growth has principally been amongst younger families containing babies or children under the age of five. The Evolving Private Rented Sector: its Contribution and Potential and Vulnerability Amongst Low-Income Households in the Private Rented Sector in England were both written by Julie Rugg and David Rhodes from the Centre for Housing Policy at the University of York and were published in September 2018. The Nationwide Foundation is a registered charity (no 1065552) and a company limited by guarantee in England & Wales (no. 3451979).